Beautiful pale straw-green color. 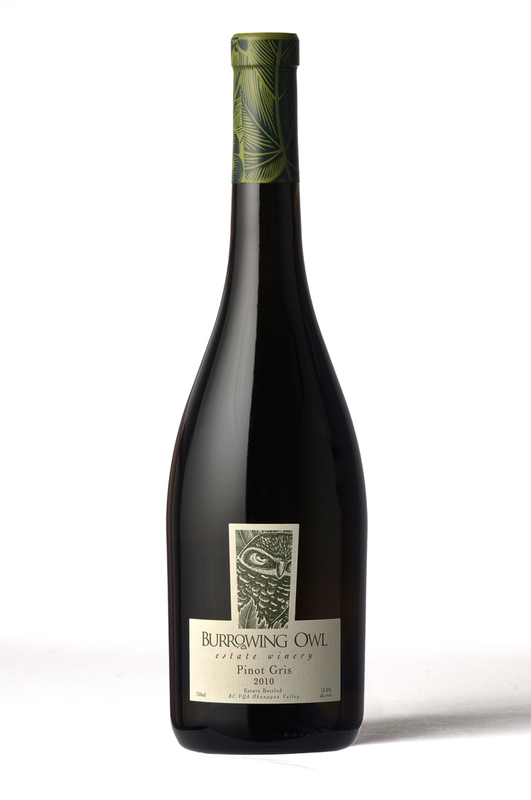 Enticing perfumed nose with generous tropical fruit aromas with hints of lychee and exotic spices. The palate is expansive and complex with great acidity and fruit intensity. Great mouthfeel and excellent length with a lingering finish. 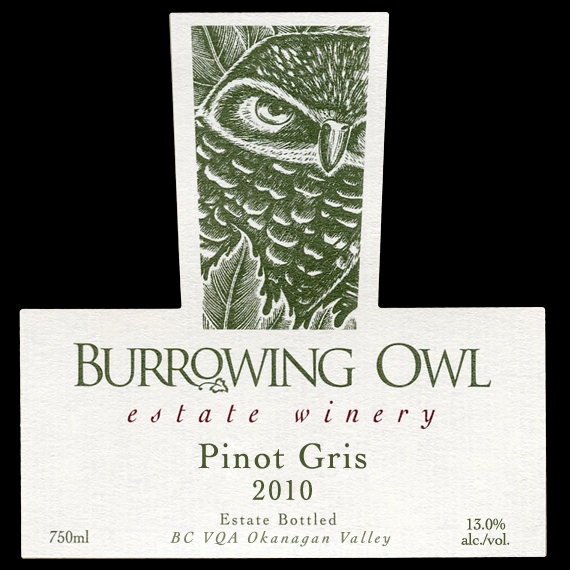 The grapes for the 2010 Pinot Gris were hand picked from Burrowing Vineyards in Oliver, B.C. Winemakers used a whole bunch or ‘Champagne’ type press cycle with progressive pressure increases, and minimal rotations. The juice was fermented using preferred yeast strains, and winemakers watched the tempo and curve of the fermentation more than the temperature which was approximately 15 Celsius. The pressings were cold settled and racked to old barrels (4 -5 years); and a portion was fermented naturally. The barrel ferment was done at higher temperature to increase palate weight (we aim for ‘barrel fermentation’ influence rather than ‘oak’ influence). After fermentation, the wine was blended in stainless and kept on the lees for 3 months to increase palate weight and texture.